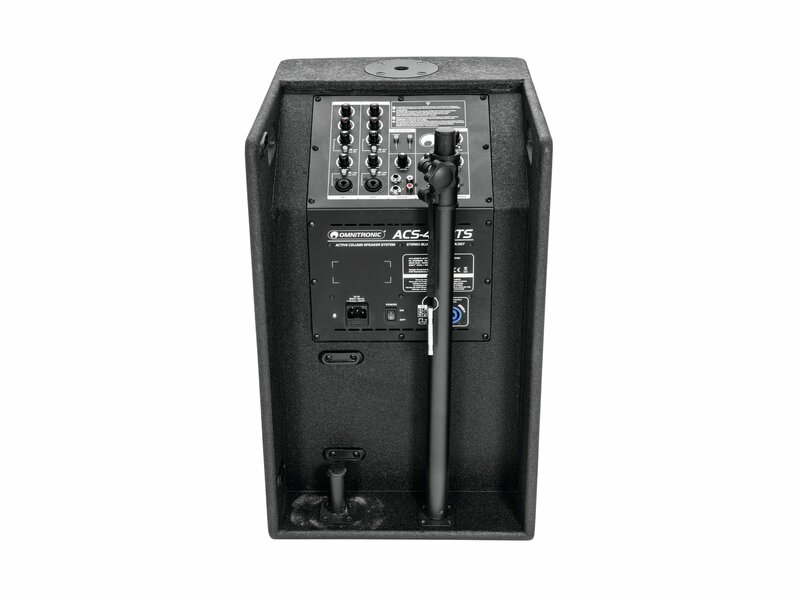 The ACS-410BTS is your active column PA system for mobile applications. 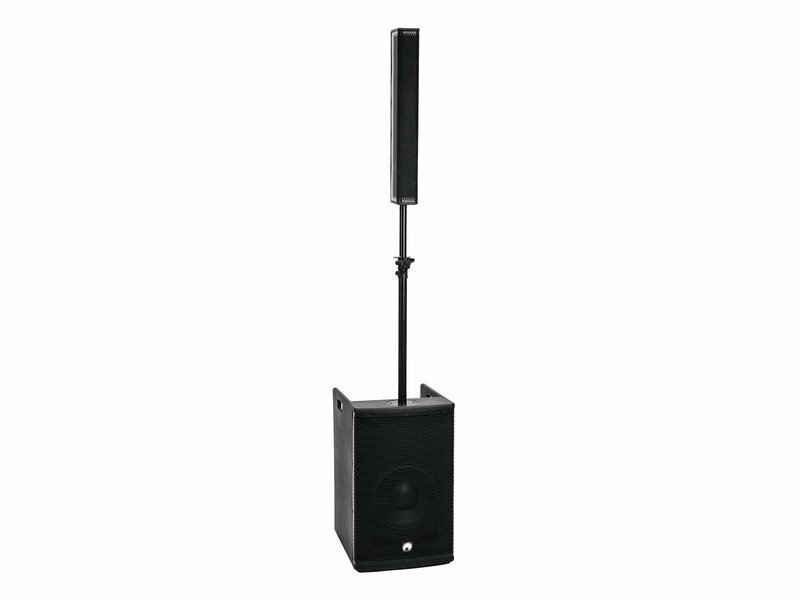 It consists of a powerful subwoofer speaker with 2-channel amplifier module and a full-range column speaker. 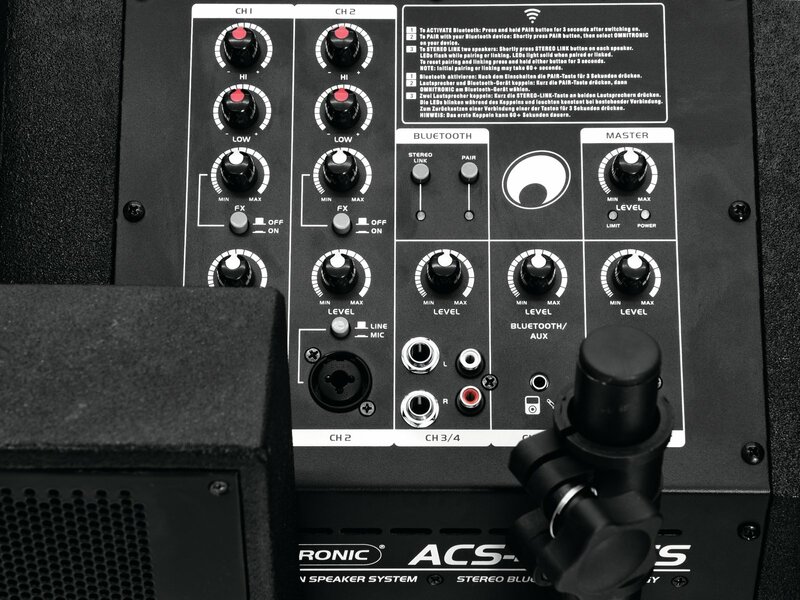 The system has two mono inputs (XLR and jack) for microphones and line sources, a stereo input (jack and RCA) and an AUX input for portable audio devices. You can also transfer your music wirelessly from your smartphone or tablet to your speakers - simply via Bluetooth! 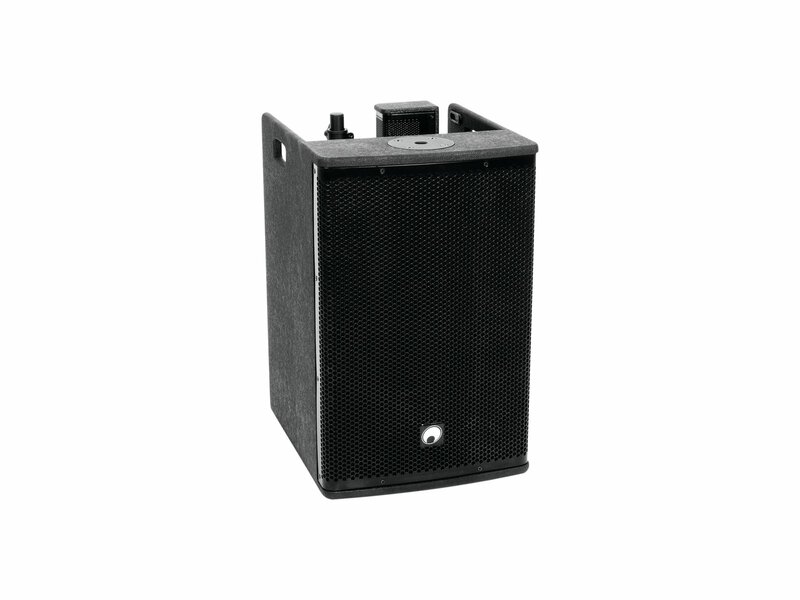 The amplifier delivers 310 W and 100 W and is equipped with an overload limiter. 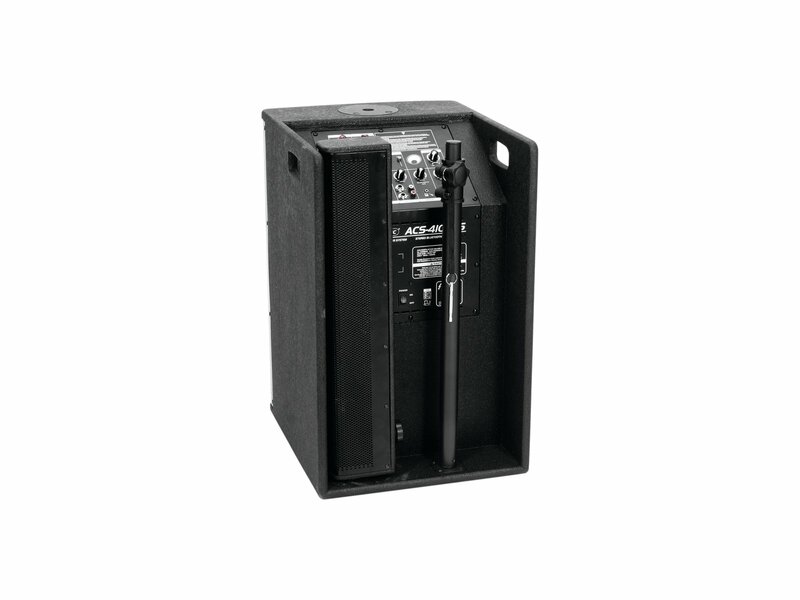 The column module can be easily mounted on the subwoofer cabinet with the supplied telescopic rod. Do you need more? 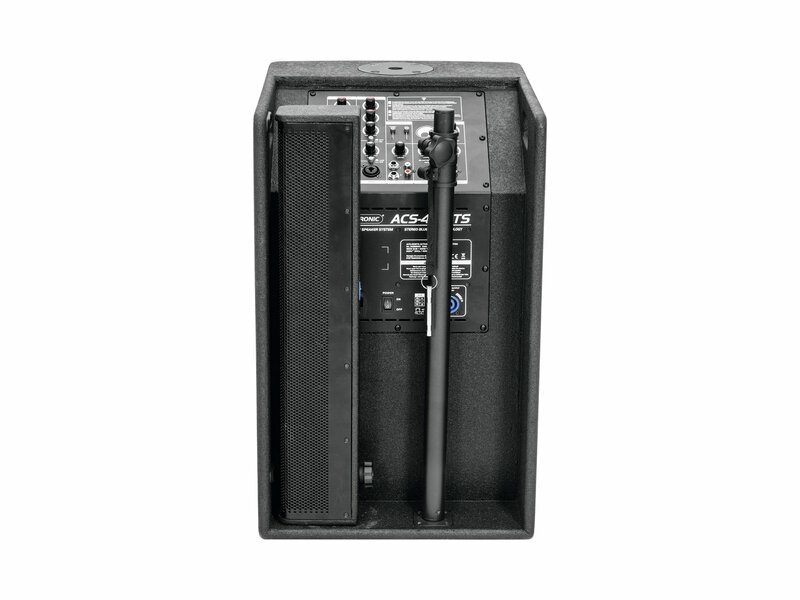 No problem: The integrated stereo Bluetooth function allows two systems to be linked wirelessly..
HF speaker: 6 x 2"